Almost all of our texts are printed letterpress from metal or polymer type by hand. Often the typefaces themselves tell a unique story and are an essential part of the design process. Once the pages are designed, they go to our printer who then inks each plate and prints the pages before sending them on to our binders. There is a clear difference between a mass produced and a finely crafted book, one that is often lost in today's world. 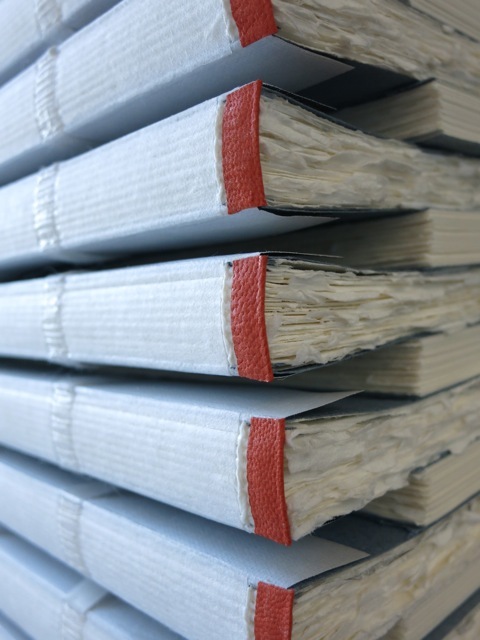 Each 21st Editions book is hand bound, one at time, in various materials including various leather, hand-made papers, metal, wood, silks, linens, and even stone. The artisan bindings are created specifically to pair conceptually with the contents of the book inside. 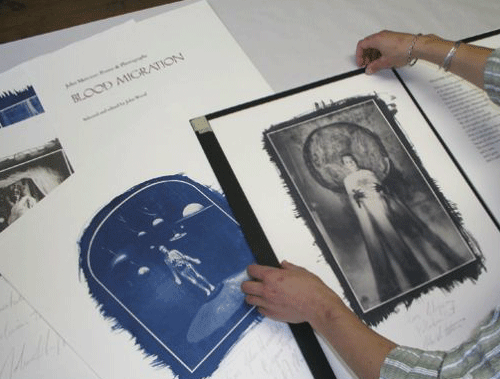 A platinum or palladium print is created by hand-coating a sheet of fine artist's paper with an emulsion of photosensitive platinum and/or palladium metals (and in the case with Southern Landscape, even gold). Unlike a silver gelatin photograph, where the light sensitive silver halide crystals are suspended in a thin layer gelatin that rests on the surface of the paper, the platinum /palladium emulsion soaks into and becomes part of the paper itself. Platinum/palladium prints provide expanded tonal scale of all photographic arts and great detail in the shadows. They require considerably more effort and much more expensive materials, but are also one of the most archival photographic processes. An historic process that melds gum and the platinum print. Gum is a process that uses the color pigments in a solution of gum Arabic which is then added to a platinum print. Exact registration is required and an almost infinite color palate can be used. The process is demanding and exacting, and each print can take several days to complete. The finished piece is a beautiful interpretation of the image. The Fresson print process was invented by Théodore-Henri Fresson around 1899 and continued to this day, first by his sons Pierre and Edmond, and now his grandson Jean-Francois. The addition of color into the original charcoal-based process was introduced in 1950. 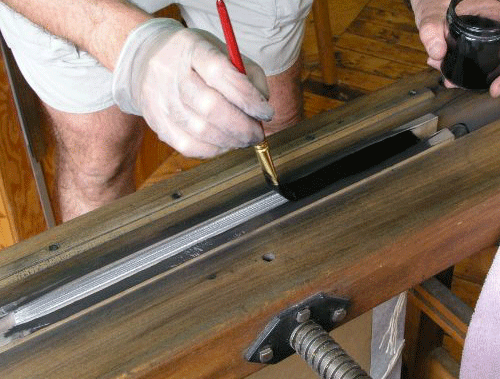 This process uses pure color pigments and saw dust. It is proprietary and therefore extremely rare with each print being considered unique. The hand-pulled photogravure is created by pressing a hand inked plate etched from a film positive onto fine artist's paper. The continuous-tone image is retained from the recessed areas on the plate that are etched to varying depths, each retaining different quantities of ink. Theses prints exhibit a texture and quality only found in photogravure. Silver gelatin prints are created by projecting a negative image through an enlarger onto a sheet of photographic paper in the darkroom. Microscopic silver halide crystals, suspended in a thin emulsion of gelatin on the surface of the photographic paper, are exposed to light patterns that correspond to those in the negative. The positive image is revealed when the paper is developed in a series of chemical baths. The final silver print can then be even further enhanced by a variety of toning processes. Offset printing is a mechanized version of a traditional lithography process where oil and water are use to separate the image and non-image areas. The images are transferred to a plate that is inked, then transferred again, or "offset," to a second plate to ensure the highest level of sharpness and detail before the image is printed onto paper. We have pursued the use of environmentally friendly processes whenever possible. Additionally, we print our offset books in the U.S. with some of the oldest and most respected American printing companies.